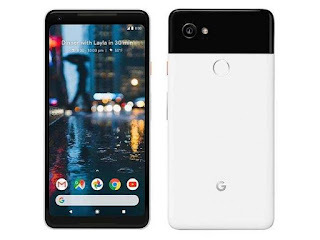 the first real-world photos of Google’s Pixel 3 have been posted to the Pixel subreddit and republished by 9to5Google. And just as we’d anticipated, the front of the phone looks like a mini Pixel 2 XL; there’s no notch to be seen on this one. The photos also confirm stereo front-facing speakers, dual selfie cameras, and the same rear, all-glass design as the 3 XL (with a matte coating covering a good portion of it). Today’s leak reveals the 5.5-inch display will have a resolution of 2160x1080 and 2:1 aspect ratio. 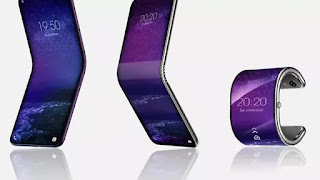 The battery capacity is said to be 2,915mAh. According to screenshots that came from the phone, the two front-facing cameras are each 8-megapixel sensors. One has an aperture of f/1.8, the other f/2.2; it’s believed that Google is taking this two-camera approach to allow for wide-angle shots — and maybe a more secure face authentication feature, but there’s still no hard evidence of that. Somewhat interesting is that the dock at the bottom has seven apps in it, though we could just be looking at a third-party launcher. And yes, it definitely seems that the Pixel is moving to gesture navigation. I don’t know about the rest of you Pixel fans out there, but I’m sold on this one. I just can’t do that notch, and for right now, I think I’m willing to trade some screen resolution and battery to avoid it. Google is expected to hold the Pixel 3 launch event on October 9th in New York City. Aside from Google’s own Project Fi, Verizon will reportedly remain the exclusive US carrier of both phones.